Join thousands of others and discover why membership in elearning with a professional learning community is the easiest and quickest way to accelerate skill development. Why waste thousands of dollars on a one-time conference or an inferior online resource with generic manager training content? When—for just a few dollars a month—Call Center Coach provides the world’s only supervisor elearning and community that paves the path to success. How long do I have to complete a course and take the test once I start it? You can move at your own pace! If you have an annual enrollment or membership, you have at least 12-months to complete it. Most courses are on-demand unless otherwise stated. You may fun learning and sharing as a member in the Private Facebook Community anytime. Learning comes from several places with Call Center Coach. Take advantage of them all. Life can take some crazy turns – unplanned and planned. If you find yourself in need to take a few months off from your membership, you can put your membership on pause. When you are ready to come back, you can resume your membership where you left off. To pause and resume your membership, merely contact us at support@callcentercoach.com with your request and details. Call Center Coach gives you a convenient, budget-friendly subscription model with the lowest prices you’ll find for such a combination of development tools in one place. But if it’s not for you, you can cancel your monthly subscription at any time, and your billing will stop right after your current billing cycle is complete. For annual subscribers, your billing will end right after your annual billing cycle is complete. Am I guaranteed to get certified if I take the class? No. A certification that can simply be purchased has no value. If we’re going to allow you to display a Certified Call Center Supervisor badge, you can bet that you’re going to have to earn it. 1. 30-day Money Back Guarantee. You can enroll and become a members of Call Center Coach FULLY for 30 days, and if during those first 30 days you decide that Call Center Coach is not for you, then you can request a full refund of your subscription payment. 2. No Minimums, No Contracts for monthly subscribers. You can cancel at any time. 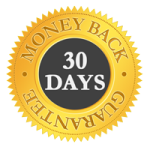 Even after your 30-day Money Back Guarantee expires, you can still cancel your Call Center Coach Membership. Just contact us a minimum of 10 days before your next scheduled billing, and we’ll stop that next charge. What’s the difference between the public and private Facebook groups? The Public Group is for non-members and we use it as a marketing tool to introduce future members to Call Center Coach. The Private Group is the place where you can collaborate, share, and get ahead faster. All of our conversations can not be viewed by non-members, and the Private Group contains higher value content that is not available to non-members in the public Group. Call Center Coach not only gives you a complete development system and certification that makes it easy to build your skills and validate them. Call Center Coach actually gives you speed. It’s the opportunity to build your skills more rapidly, so you can open the door to greater opportunities. You have an entire community of like-minded people that want to help you succeed. Enroll Now. See you on the inside.